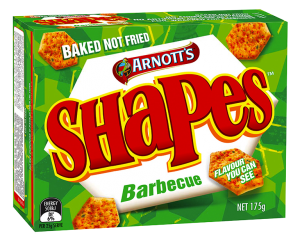 Bring back the real Barbeque Shapes! Its very rare that I will put up a post on this blog full of grumbles and complaints, as I want my blog to be a positive space. What the hell were you thinking Arnott’s Biscuits when you decided to change an Aussie icon???? For as long as I can remember, Barbeque Shapes have been one of my favourite savoury snacks. Over the years I have seen a steady decline in the amount of flavouring sprinkled over these crunchy morsels, but at least the flavour was the same. The ‘new and improved’ Barbeque Shapes have hit the shop shelves. AND they are absolutely disgusting as far as I am concerned. (First world problem I know). We had sample packs of them in the staff room at work, and not a single person that tried them thought they were any good. I decided to jump on to the Arnott’s Biscuits Facebook page and just see if anyone else was voicing their opinion. Hell yeah, tons and tons of comments absolutely bagging the new varieties of Shapes biscuits they have altered. 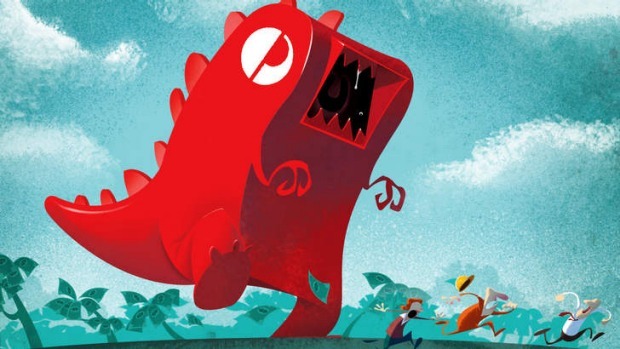 There are plenty of people who can vouch for the unbelievably atrocious service sometimes provided by Australia Post even though they keep increasing charges. Earlier this week I witnessed a meltdown on Facebook in one of the planning groups that I am in due to a mind blowing price hike that Australia Post had decided to make to parcels being sent overseas. The new rates determined that if an envelope contained anything other than printed matter it would be charged at parcel rates. So a pair of earrings or a single roll of washi tape that could be posted for $2.75 would now cost $15.85 to send to the USA or $23.75 to send to Europe, WTF! This simply meant the instant end to hundreds of Etsy shop owners and creative businesses. There was lots of tears and anger as so many stay-at-home mums who make a living selling to customers all over the world no longer had a viable business. Australia Post’s Facebook page was flooded with protests. By the next day the powers-to-be realised the incredible amount of business they would lose if all these parcels were no longer being sent and they did a complete back flip and reverted the costs for small ‘parcels’ back to the original rules. Big win for people power. Arnott’s Biscuits get on to this and give us back the real thing, stat! Rant over and a return to positive posts shall commence. Have you tried the new Shapes?